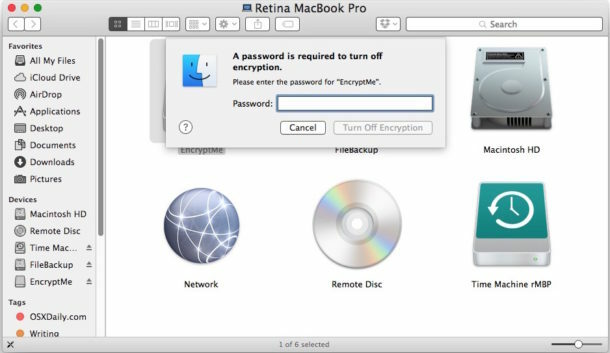 For Mac users who encrypt external hard drives and USB flash drives, there may come a time when you want to remove the password protection and decrypt the external device. Decrypting an external drive allows all data on the drive to be accessed without the password authentication, effectively turning off any protection on the target external volume. 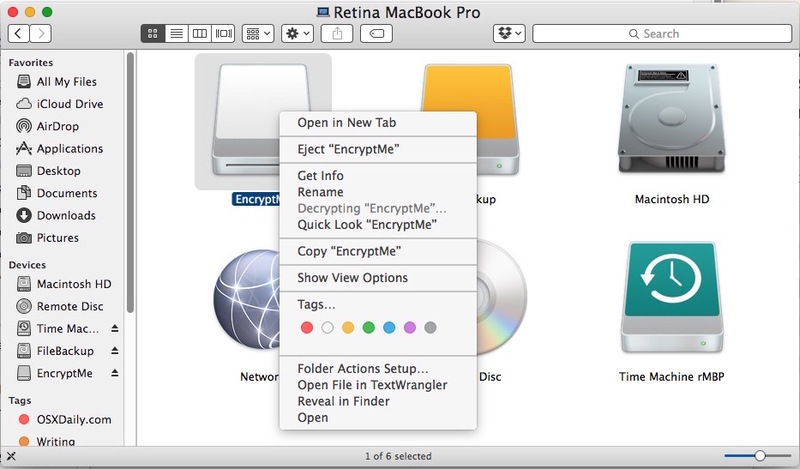 It’s important to remember this process of decrypting external drives is entirely separate from using FileVault encryption on a Mac for the internal drive. 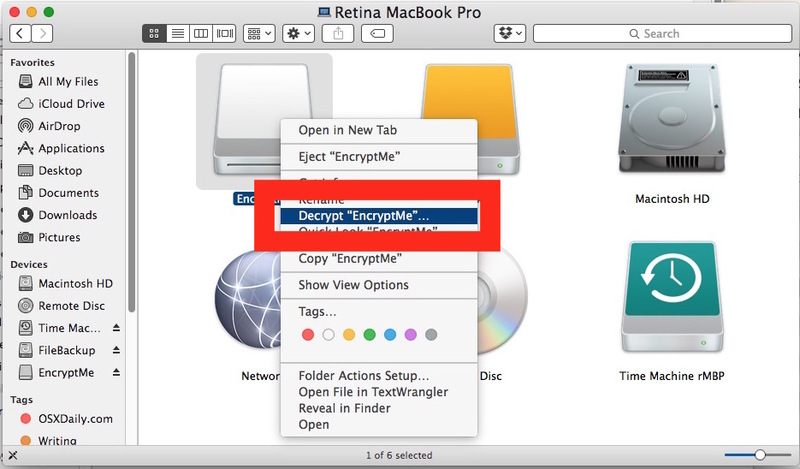 FileVault does not encrypt external drives, and thus decrypting an external drive this way does not decrypt FileVault either (though you can disable FileVault in a separate process if you wanted to for some reason). 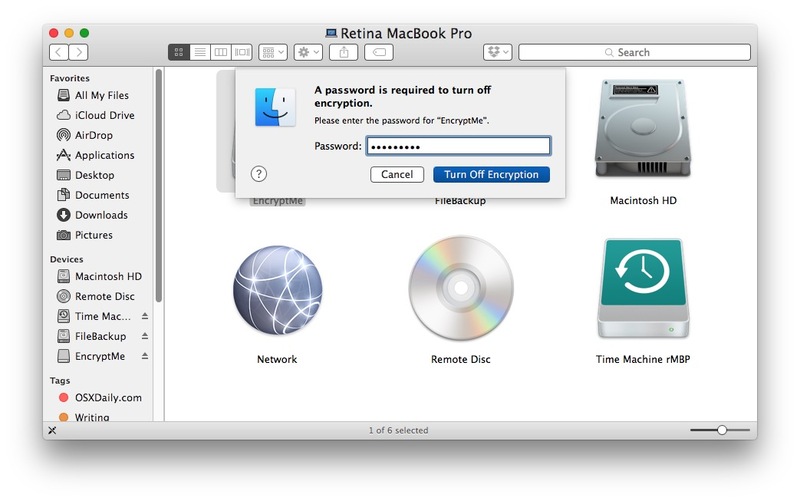 This is the primary method to turn off encryption and decrypt any external volume that has been encrypted using the built-in encryption tools on modern versions of Mac OS X and macOS. This will remove password protection from the target drive. Once the drive has been decrypted it will no longer have any protection on it at all, meaning it can be accessed or read without any password entry requirements. What if I have lost the password??? Thanks, too simple. 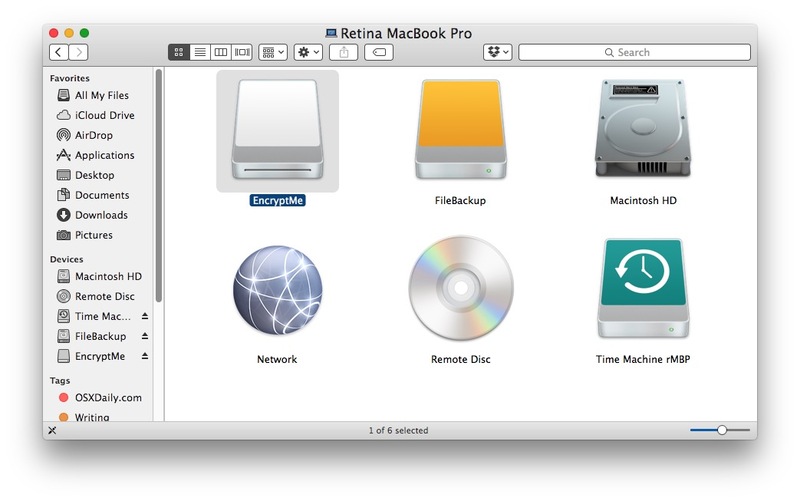 I search Disk Utility for ages and it’s not there. What if I right click and the Decrypt option is grayed out? You can’t do it via Disk Utility, you have to right click on the disk icon via finder. Hello, I encrypted my 5 Tb external hard drive connected via USB port on my Mac and now I don’t have the option to decrypt this drive anymore? how can I decrypt this external drive? I can’t undo it using disk utility. Help!